S. H. Raza is among the few artists of the Progressive Artists’ Group who almost exclusively excluded the human figure in order to build up his aesthetics. Instead, he was fascinated with landscapes, with which he began his career. His enrollment at the Ecole Nationale des Beaux-Arts, Paris, was to be the turning point in his career. In 1956, he became an overnight sensation across Europe after receiving the award Prix de la Critique. In the Sixties, Raza drifted away from realistic landscapes towards ‘gestural expressionism’, a form of abstraction that was inspired by the works of American artist Rothko. 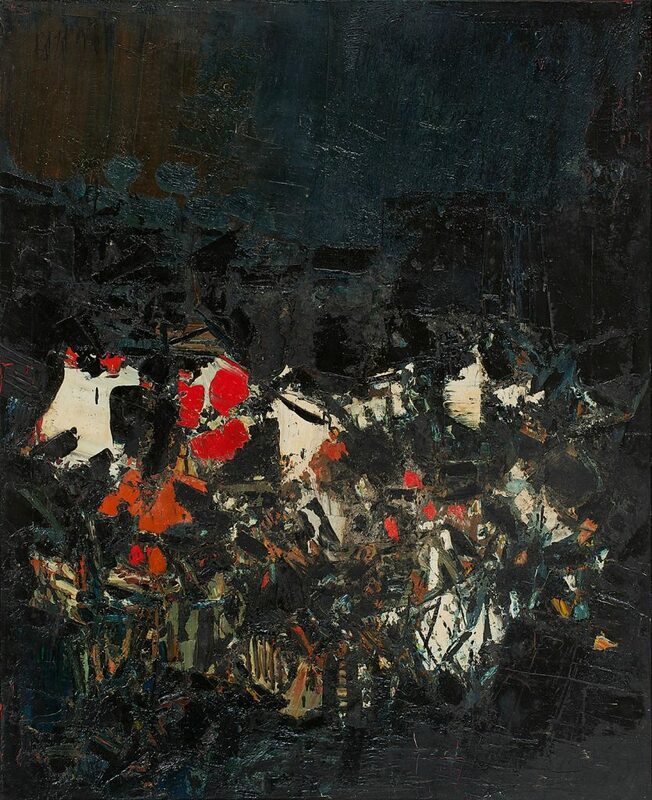 Ultimately, the themes and forms for Raza’s paintings evolved from his childhood memories and impressions – life in the densest forests of Madhya Pradesh, close to the river Narmada and in proximity of nature, the bright colours of the Indian market, and a black dot to meditate on drawn by a schoolteacher for the six-year-old Raza. Those visions and forms he carried in his memory were animated on the canvas through the use of geometrical lines and intense patches, bursts of colour. The black dot became a starting point that transmitted into a series of Raza’s paintings known as Bindu – a symbol of divine and artistic creativity, the essence of any form and movement. 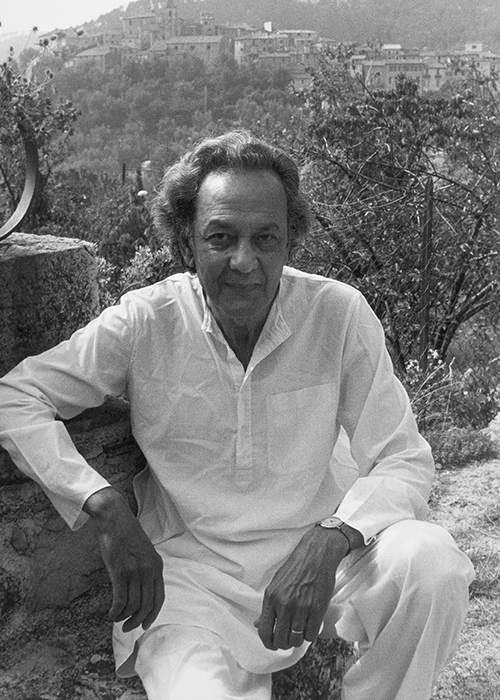 Widely collected across Europe and U.S.A., Raza was awarded the Madhya Pradesh government’s Kalidas Samman in 1981, the Lalit Kala Akademi’s Ratna Puruskar in 2004. He has been honoured with both the Padma Shri and the Padma Bhushan by the Indian government. Raza was a resident of France for six decades before shifting back in December 2010 to live and work in New Delhi. The artist passed away in 2016.